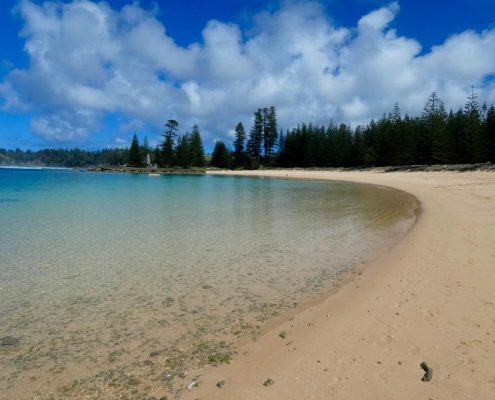 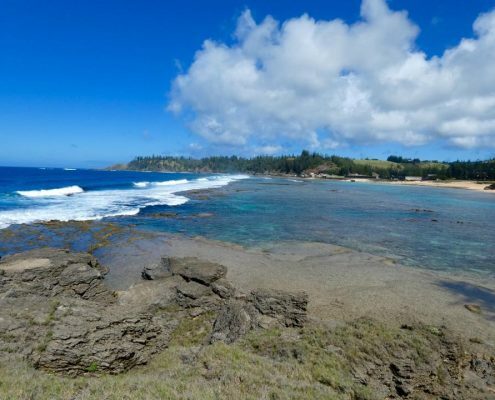 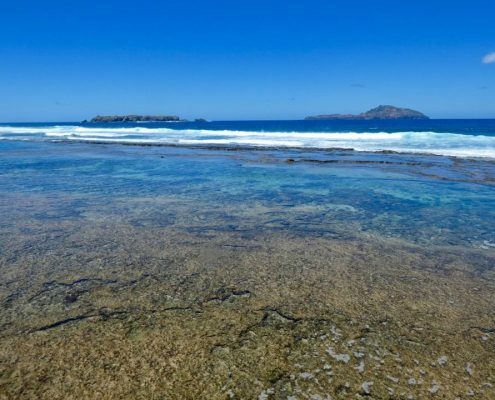 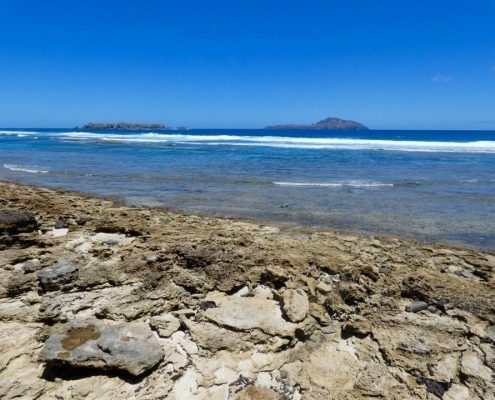 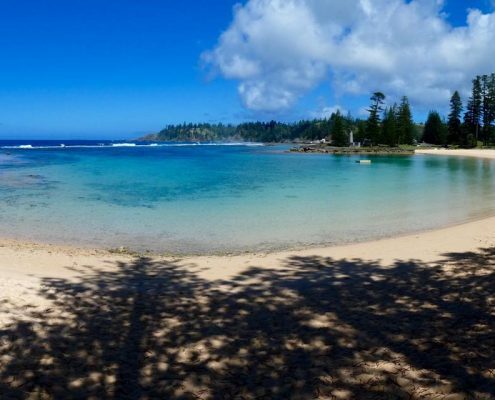 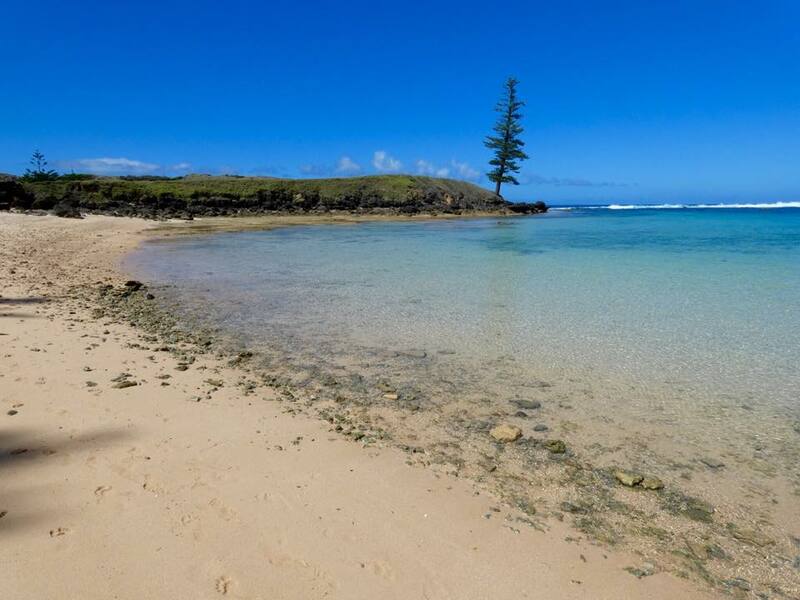 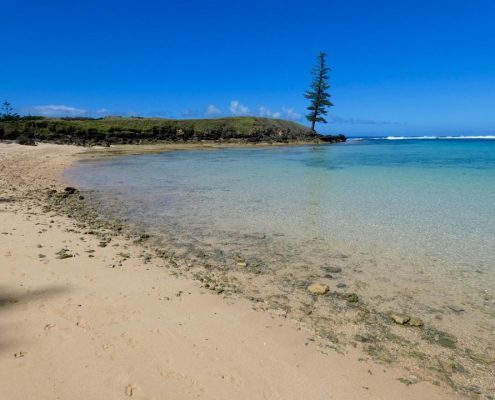 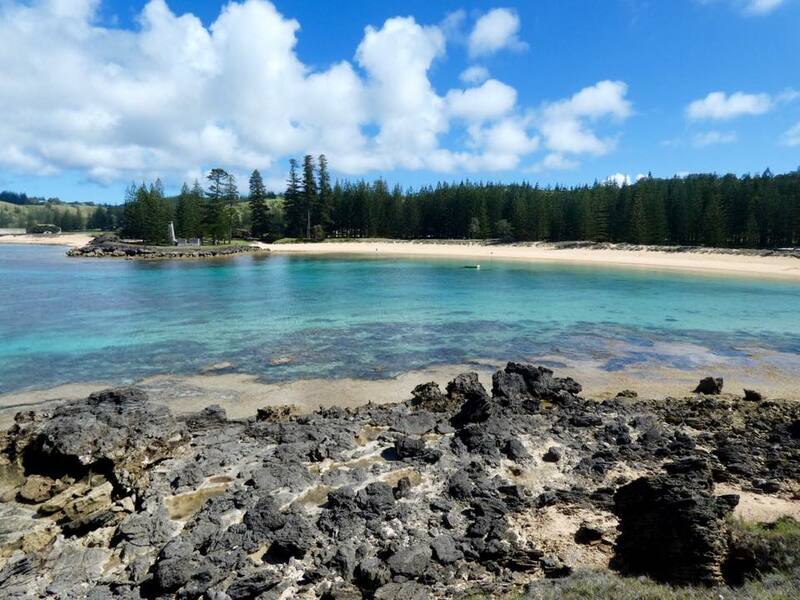 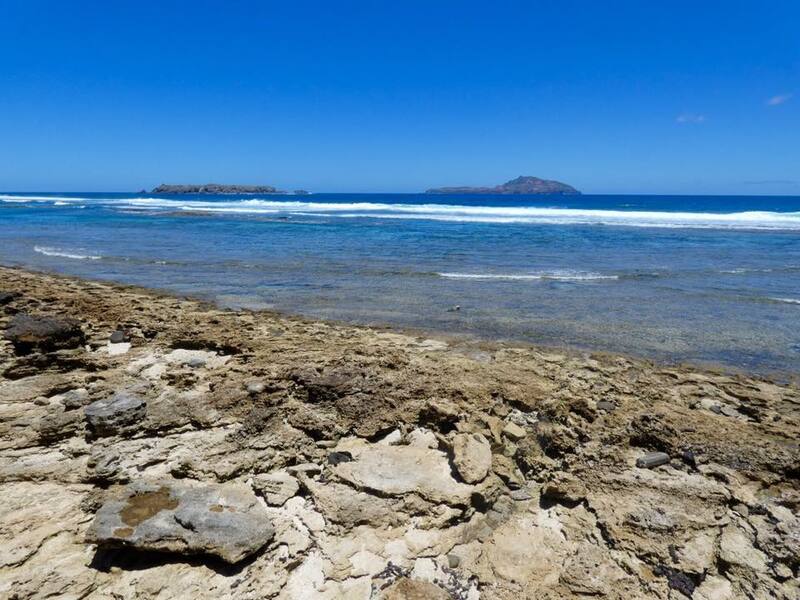 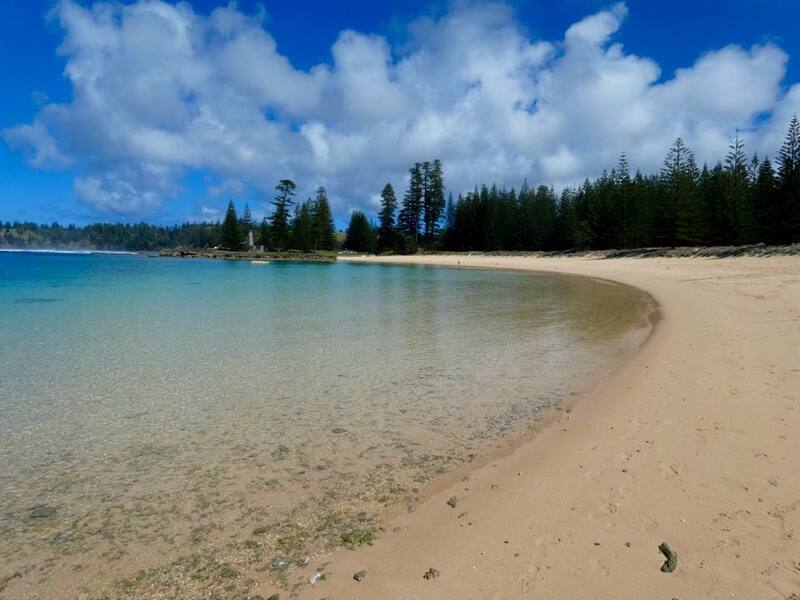 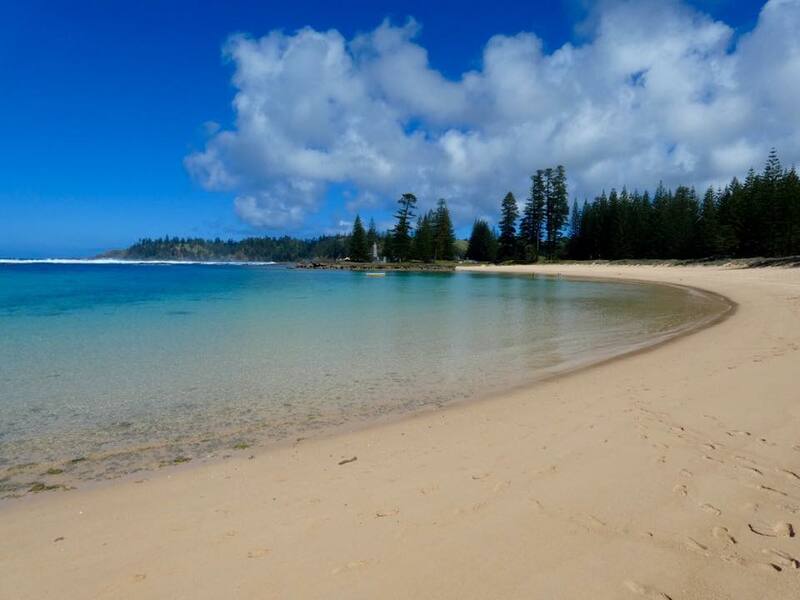 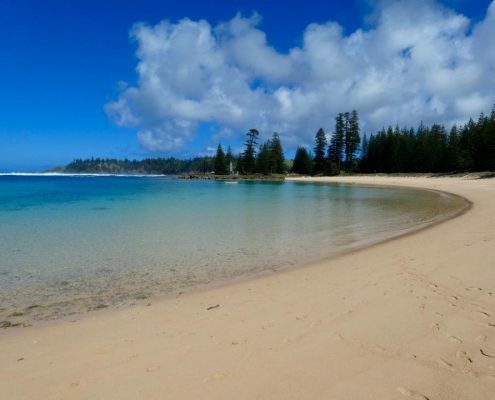 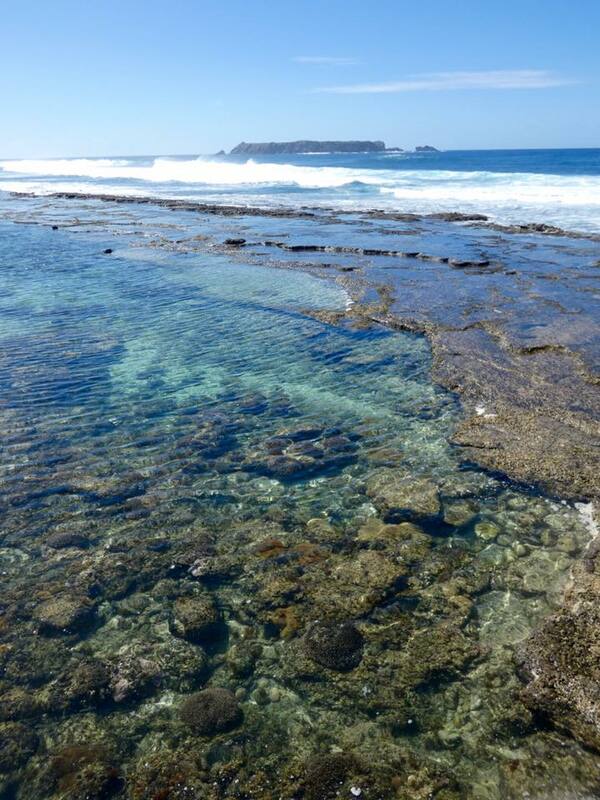 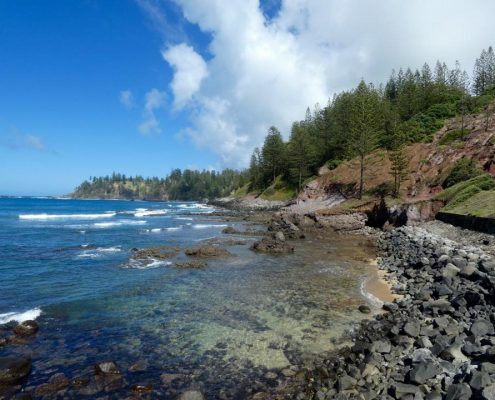 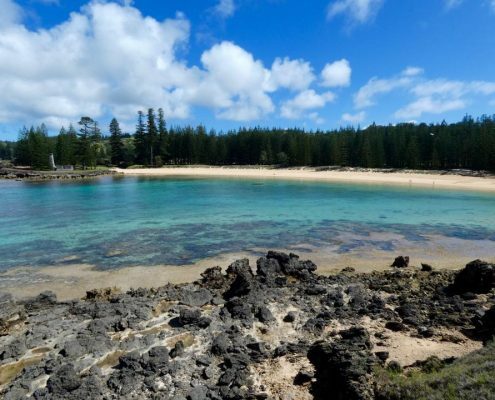 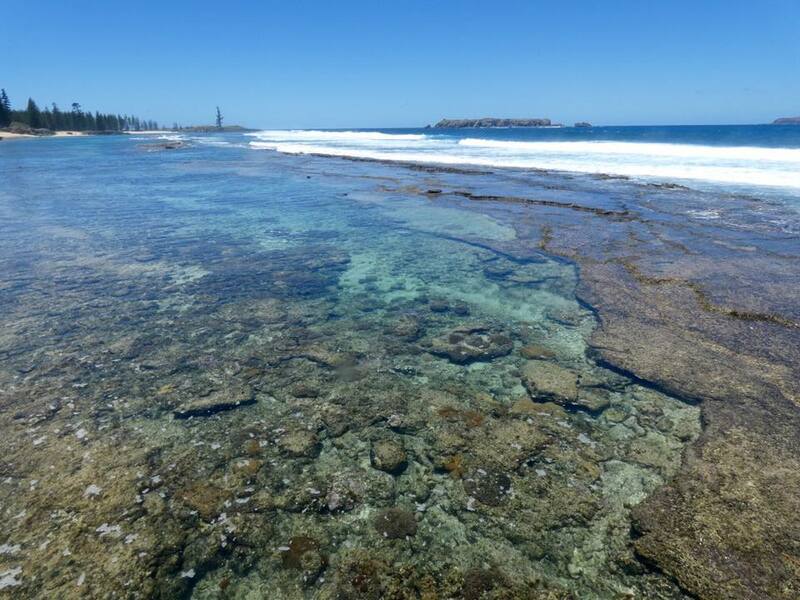 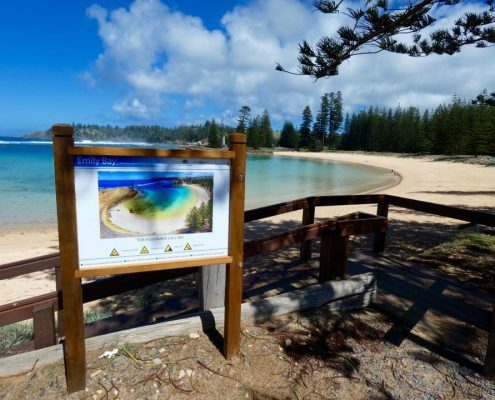 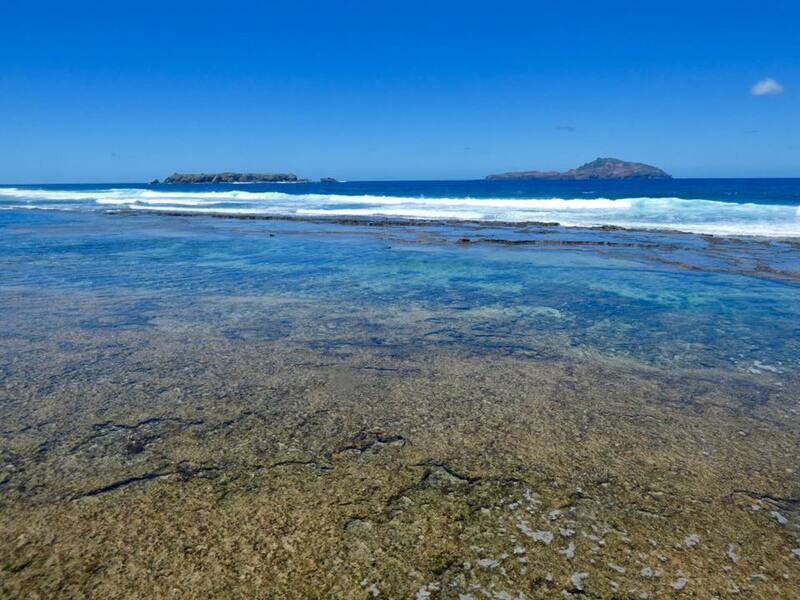 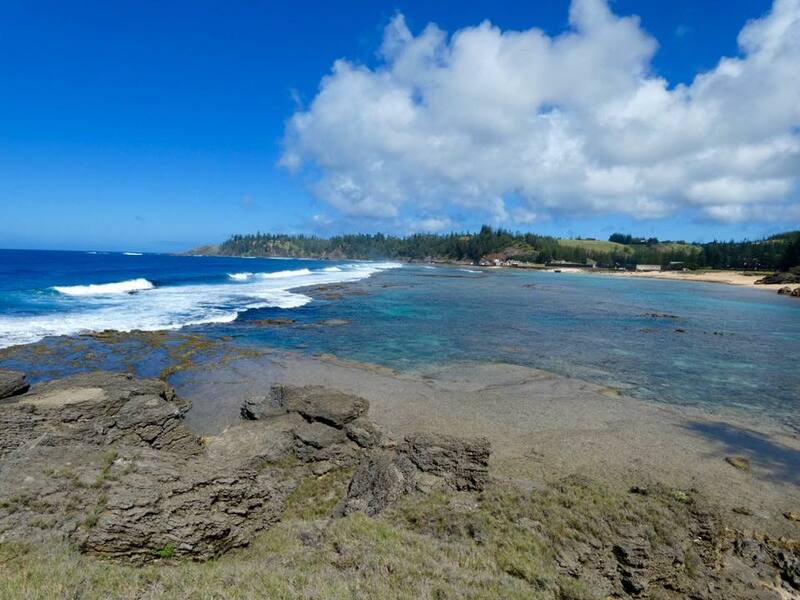 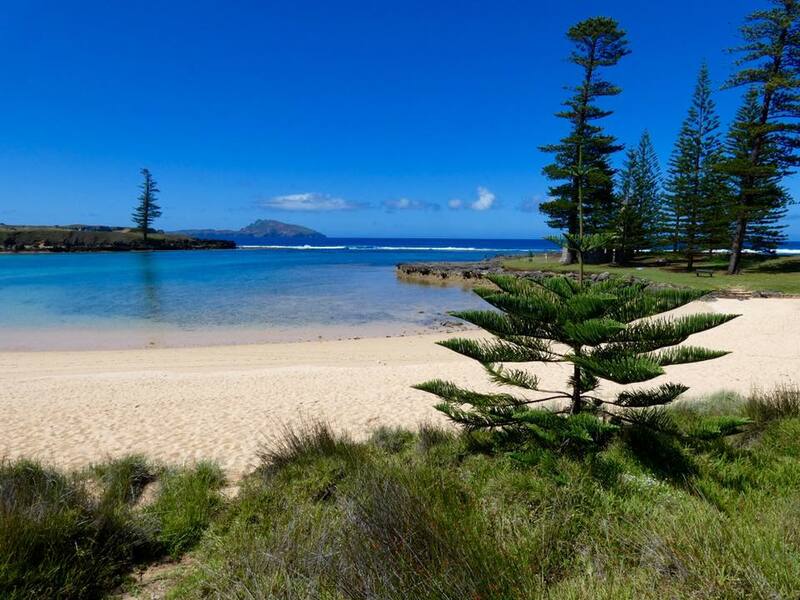 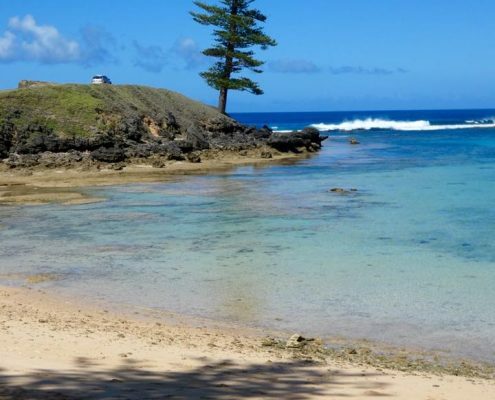 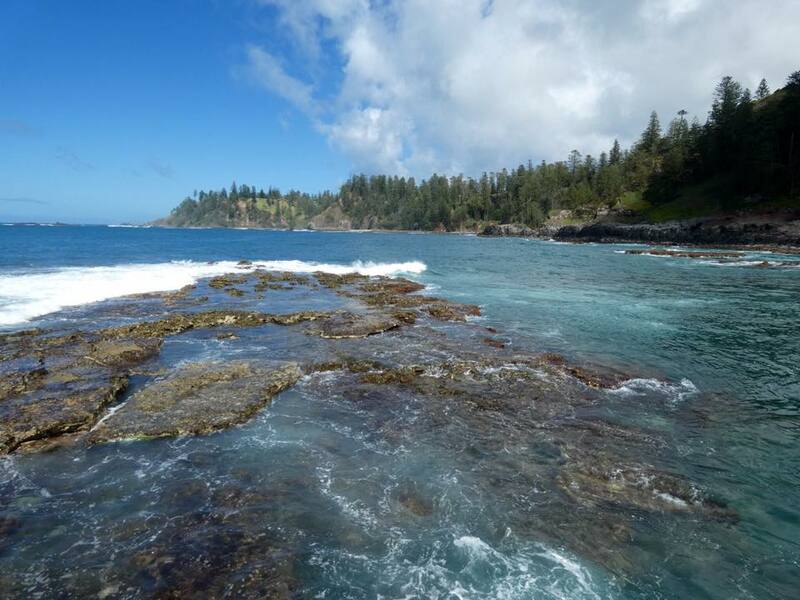 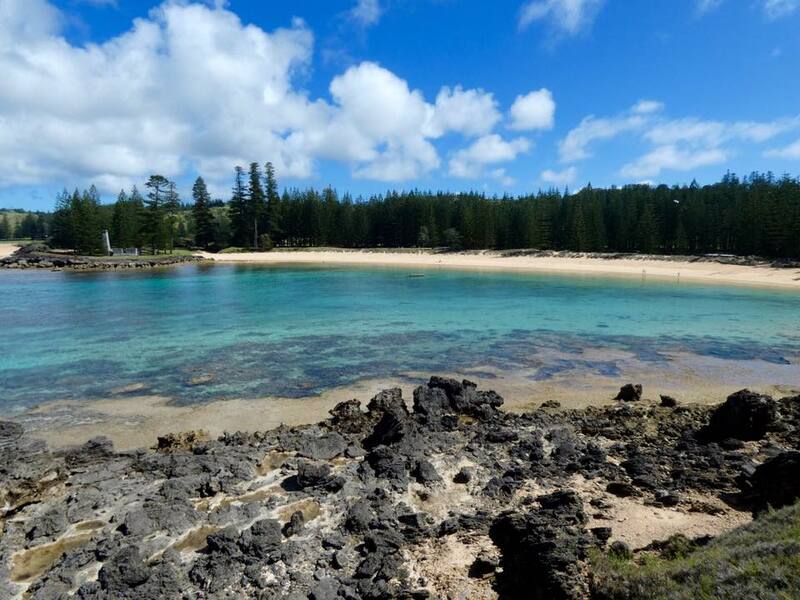 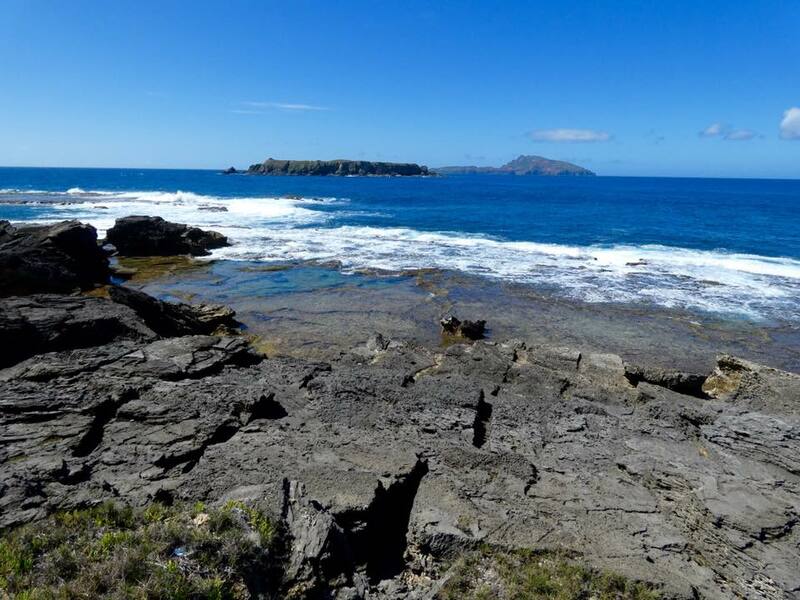 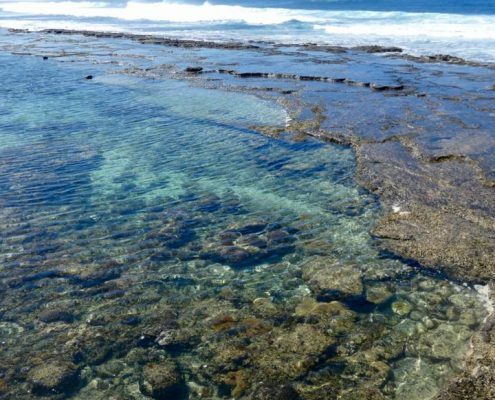 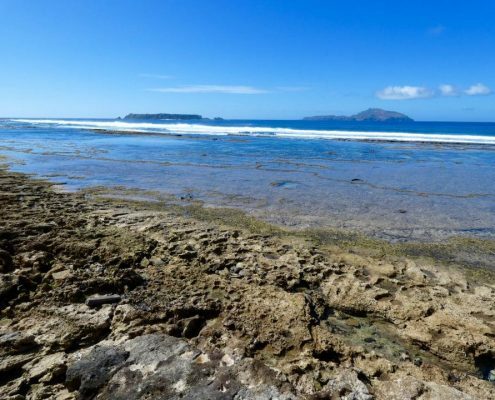 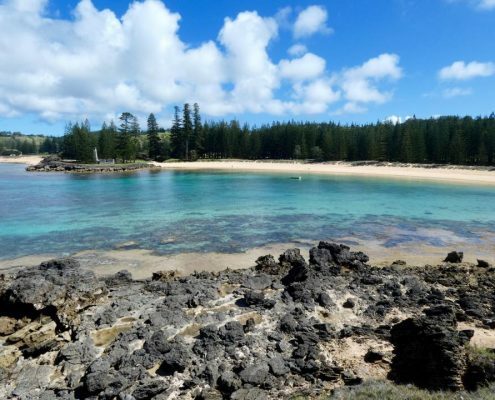 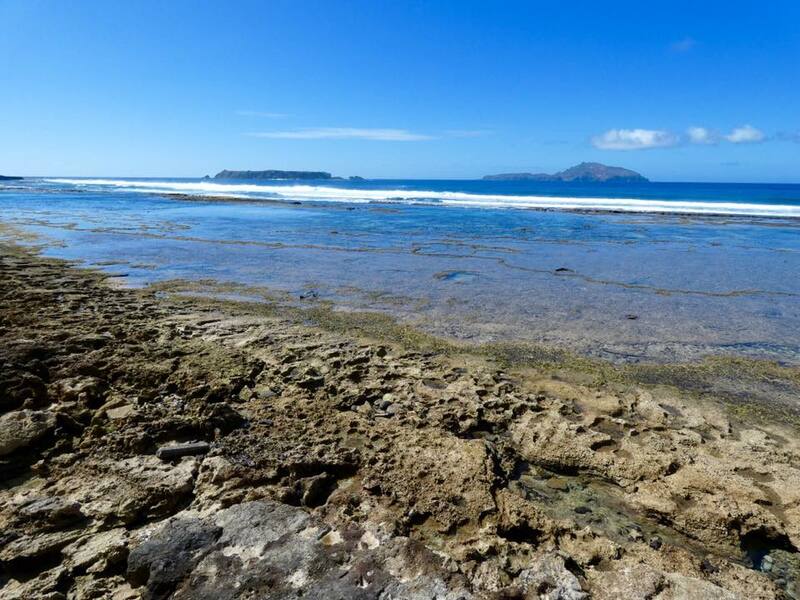 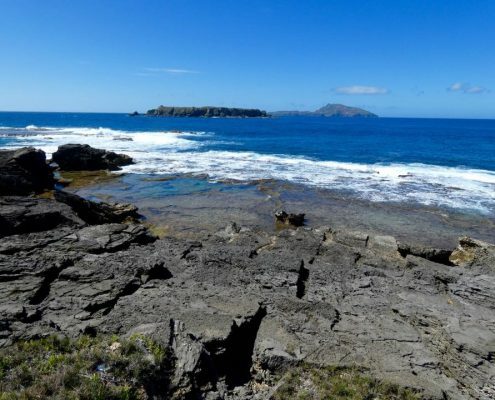 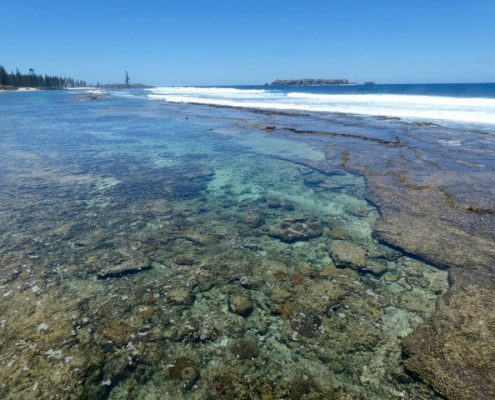 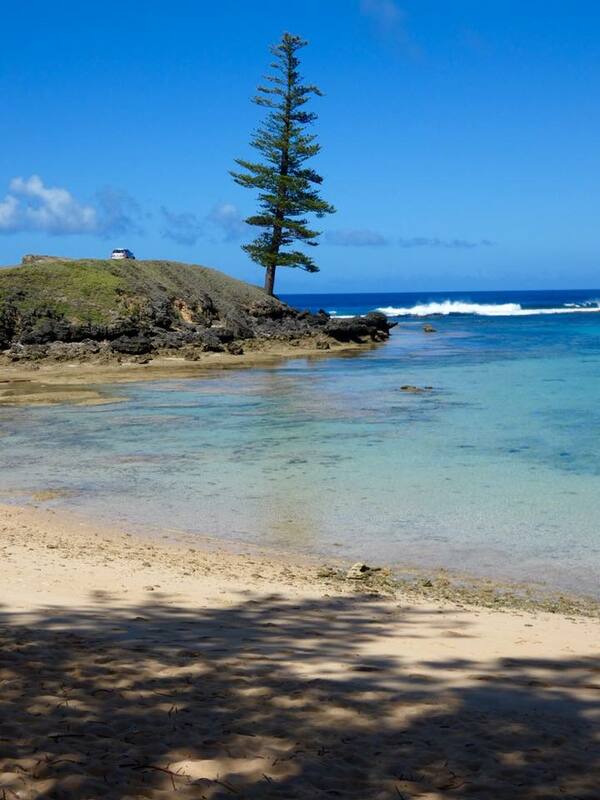 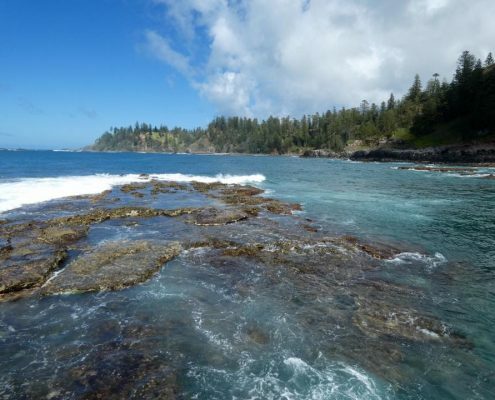 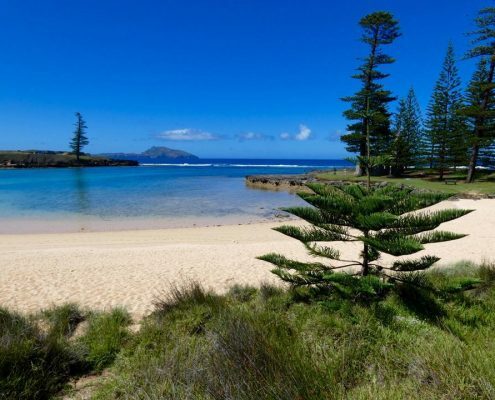 Emily Bay is considered one of the most beautiful beaches in the entire Pacific – an almost full semicircle of yellow sand, well protected by a reef. 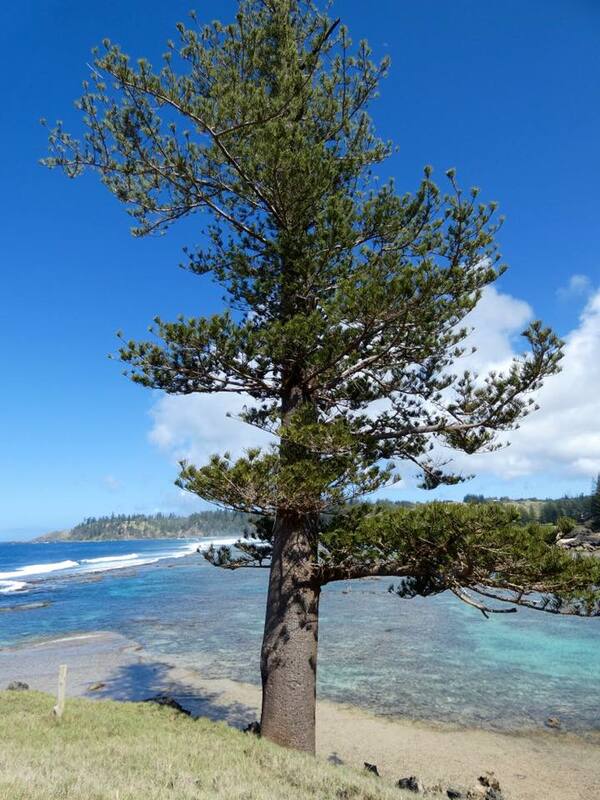 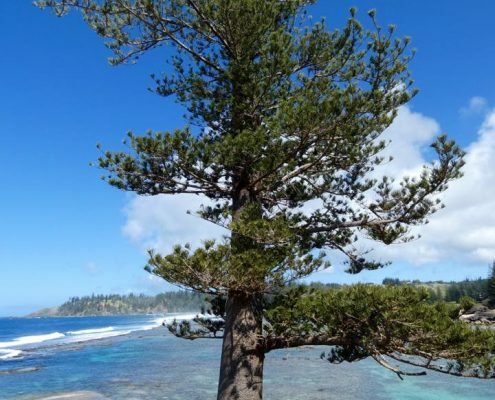 A lone Norfolk pine sits at the very end of the promontory protecting the bay and often appears in the promo literature about the island. 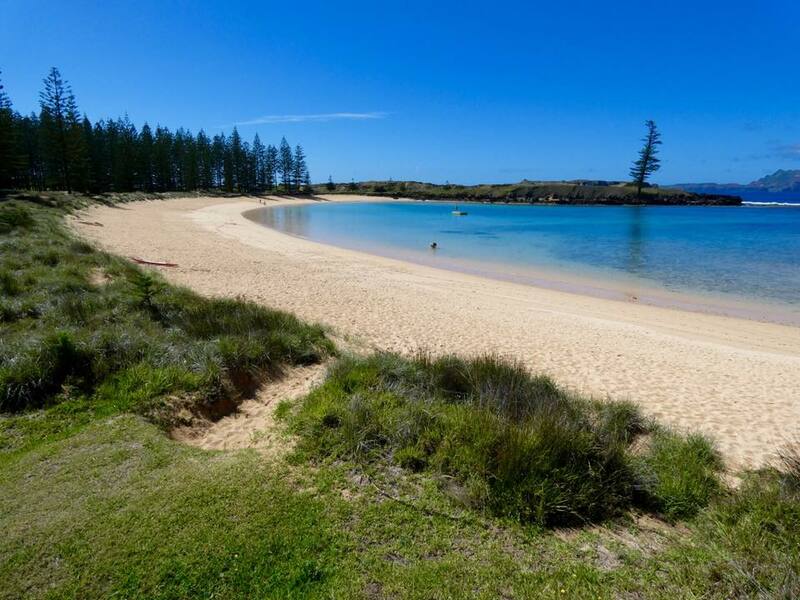 Adjacent to Emily Bay is a straight line of Slaughter Bay, also protected by a reef. 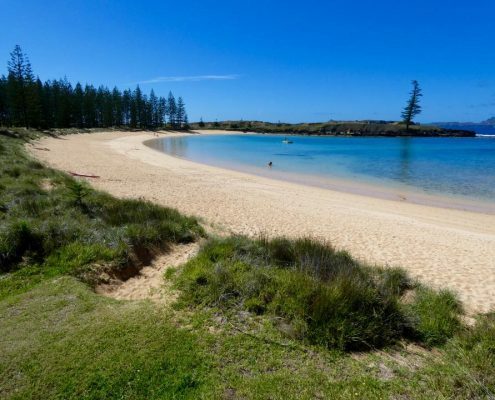 Both bays face the offshore Phillip island that is uninhabited.